Melissa Lovingood – Playful spiral necklace of sterling silver, brass, bronze, copper and ammonite fossil. 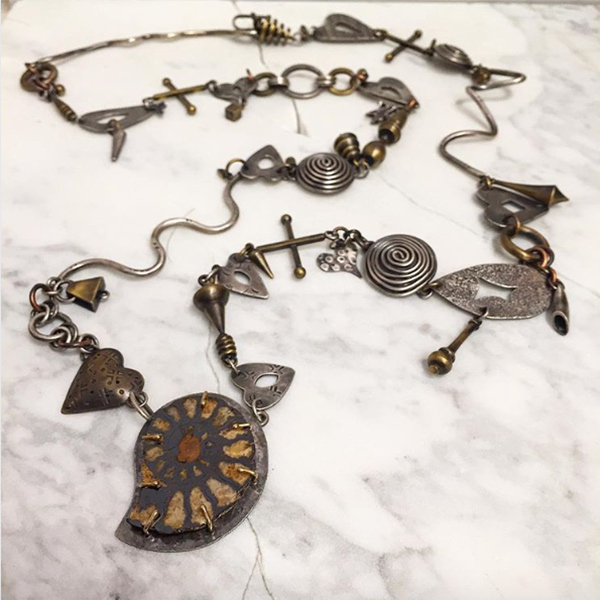 Chased, hammered, textured and patinated urban talisman jewelry. Call for price.